You are a week away from your wedding. Preparations are underway. But things are not going as they should be. The groom’s side has just increased the number of guests by a hundred. The flowers you wanted for the mandap are in short supply. The hotel where you have booked rooms for guests is still not confirming. You cannot be blamed for being at your wit’s end. This is supposed to be your best day but looks like it is going to be the worst. What you need now is a magic wand to shoo away all the problems and ensure the perfect wedding day. Make way for the ‘Wedding Planner’! Gone are the days when the relatives of the bride would take it on their shoulders to plan and execute a wedding ceremony from beginning till the end. Today, as the nuptials get more and more elaborate, it needs many more hands to make it a success. No wonder people are investing their faith in wedding planners to take care of everything to the T.
Vandana Mohan who runs the Wedding Design Company has been in this business for 15 years. Her message to clients is to dream big but it is also her job to tell them what can be done and what cannot. But as a wedding planner she tries her best to come as close as possible to that dream. From the time a wedding planner is called in, it is a beginning of a six to eight -month relationship. Thus, it is imperative that both parties understand each other and develop good communication lines between themselves. Unless that trust is created it could be a recipe for disaster. Today’s planner wants to know the family of the client well. They want to visit your home, what kind of music you listen to, the books you read, styling you like and even holidays that you have taken. This gives them an idea about the kind of wedding you would want. The creative process works best while the vibes are set well in advance. A word of caution there - if by the third or fourth meeting you are unable to trust the planner, then better accept that the relationship might not work. After all, planners become a part of your family. In fact, Mohan says her job also includes that of being an agony aunt, simply hearing grouses of each member. There would be days when each member has had a spat over the wedding arrangements and it would be up to her to cool tempers and discuss the weather, fashion and the movies rather than the wedding. Surprisingly, it is not the wedding planner who sets the budget, but the client. Families generally, do not know how much to spend. So, if you have a budget and have a wish list, the wedding planner will advise you on how to adjust your budget and how to divide the money. Often, families generally have already decided on the menu, jewellery and the lehenga before approaching the planner. Whatever is left is for the décor, so it is not as if there is a huge part of the budget at the disposal of the planner. Today, destination weddings are in vogue and all the more reason to get others to take over the headache of logistics in a new place. Again, there could be a requirement of your own kind of cuisine. The wedding planner could arrange that through their vendors, something that would take a lot of logistical support in place if the family was to do it on their own. There are certain things that even planners are wary of , e.g., the word ‘Just’. “Just add some more seating” could mean 500 or more guests, “just add some more flowers” could mean importing more exotic flowers, thus raising the costs. This is where people need to be realistic and this is where parents and elders come in to add that reality check. A would-be bride or groom might have the entire décor planned in their heads with lots of pictures to refer to. They want the planner to do it exactly like that without any dent on the budget. Will that be possible? Well, the wedding planner will work out the cost and will sit with their list of priorities. By the time the top priorities are worked out, the bride and groom would generally find that the rest don’t matter that much. 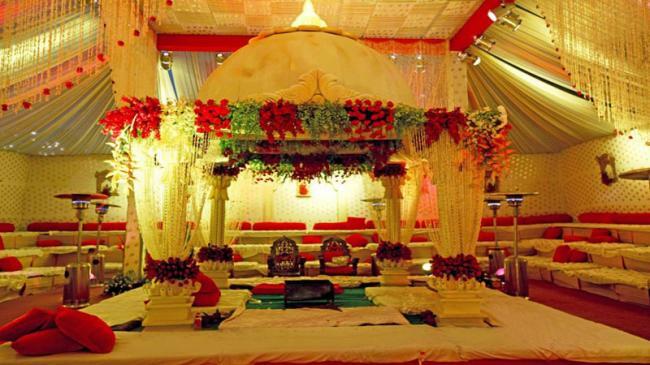 For another person, it is the venue and the mandap that are important because it is a fun wedding. So why do you want flowers at the sangeet ceremony when no one will notice them? 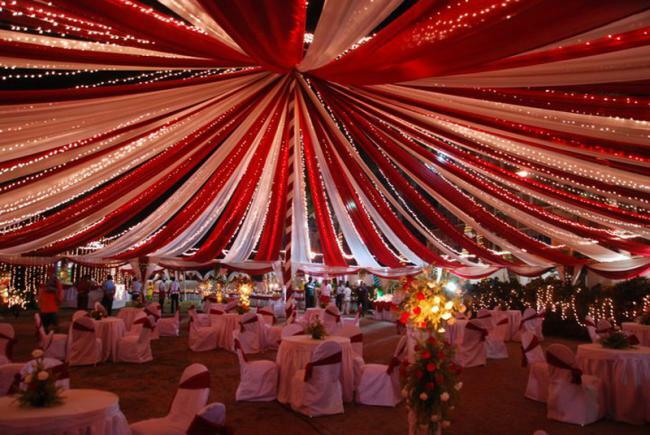 At the wedding mandap, there will never be 800 or 1000 guests. So, all the floral décor will be noticed by the small number of people there and beautiful flowers will make a mark. That is how a planner contributes – by making the right decisions on expenditure. “It is our job to make sure that you are comfortable, that you are absolutely happy. 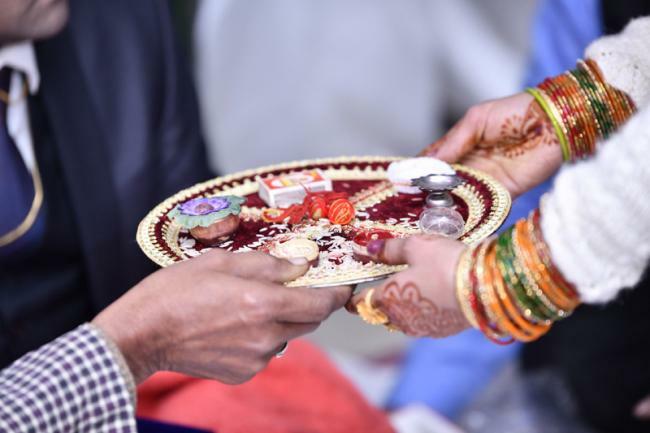 Nobody wants an unhappy bride, bridegroom, mother or mother-in-law,” says Mohan, a thought shared by all those involved in planning a wedding for you. Finally, how do you decide which wedding planner to approach? The social media is a good place to start. Friends who have availed of the services of a planning company are quite reliable. The experience of the wedding planners makes a world of difference. They are able to procure stuff for the occasion that would be almost impossible for the families involved. Once you have decided on one, get to know them well. Setting up the budget and discussing your needs down to the last detail is of primary importance. It is the planner’s job to get the best possible bargain. So, stay hassle free, stress free and enjoy the days that are going to be an important part of your life’s journey with memories that count.